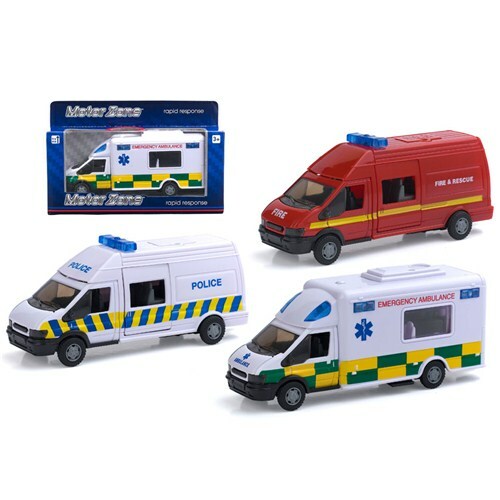 Motor Zone Rapid response van with lights and siren - spacekids - space toys, dressing up costumes, kids spacesuits, astronaut food, cool space stuff! A fun rapid response van toy in 1:48 scale about 15.5cm long. A button on the top makes the lights flash and siren sounds. Choose one of three designs - Police Ambulance or Fire and Rescue or we will choose one for you. If you buy two, we will ensure you get one of each design.